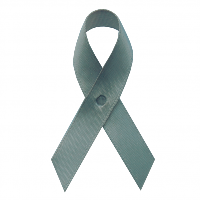 May has been designated as Brain Cancer Awareness month by the American Cancer Society. Other than radiation exposure, there are no known lifestyle-related or environmental causes of brain and spinal cord tumors, so at this time there is no known way to protect against most of these tumors. Although brain tumors rarely spread to other parts of the body, most of them can spread through the brain tissue. Even so-called benign tumors can, as they grow, press on and destroy normal brain tissue, causing damage that is often disabling and sometimes fatal. For this reason, doctors usually speak of “brain tumors” rather than “brain cancers.” The main concerns with brain and spinal cord tumors are how readily they spread through the rest of the brain or spinal cord and whether they can be removed and not come back. The American Cancer Society’s estimates for brain and spinal cord tumors in the United States for 2017 include both adults and children. About 23,800 malignant tumors of the brain or spinal cord (13,450 in males and 10,350 in females) will be diagnosed. These numbers would be much higher if benign tumors were also included. About 16,700 people (9,620 males and 7,080 females) will die from brain and spinal cord tumors. Overall, the chance that a person will develop a malignant tumor of the brain or spinal cord in his or her lifetime is less than 1% (about 1 in 140 for a man and 1 in 180 for a woman). For more information about brain cancer, visit the American Cancer Society.